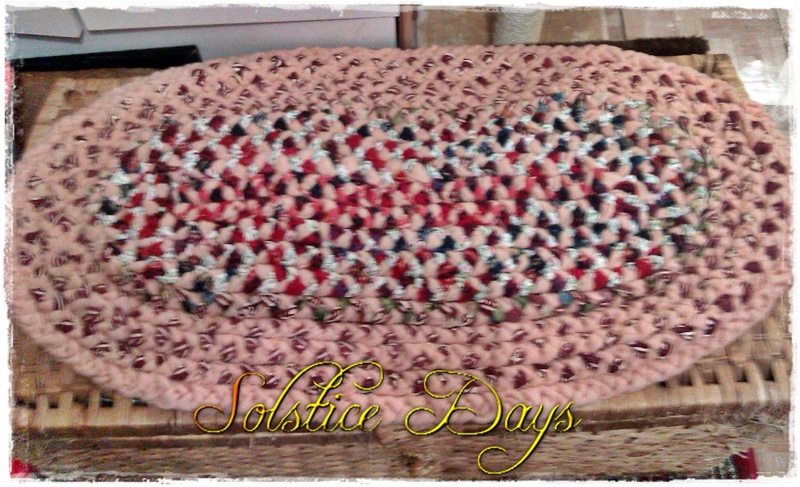 Braided (plaited) rugs are a very useful way of recycling old fabrics and are easy to make. The rugs below have taken me between three weeks and six months to make. Items made in a smoke free home. 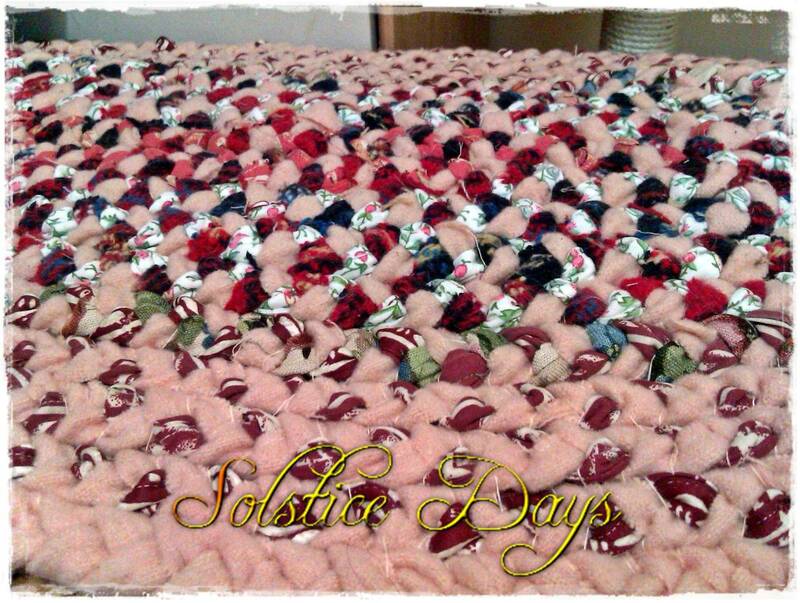 This was my first braided rug, which took me about six weeks to make. It is made from all cotton fabric, leftover from making shoulder bags and curtains. Because the rugs are braided, they can be turned over for even wear and because it is made from cotton can be washed. This rug size is approx .......... and took me about three weeks to make, I used up some wool, linen and cotton fabrics left from making two previous rag quilts, so this will be a very hard wearing rug. All the braids have been hand-plaited and then stitched together to make a sturdy, hard wearing rug. Even though mainly dark colours have been used, the orange cotton fabric brightens the centre of the rug. Because natural fabrics have been used this rug can be washed. This rug took approx five weeks to make and is a mixture of cotton and linen fabrics. This rug I made by recycling some old threadbare flannelette pillowcases. 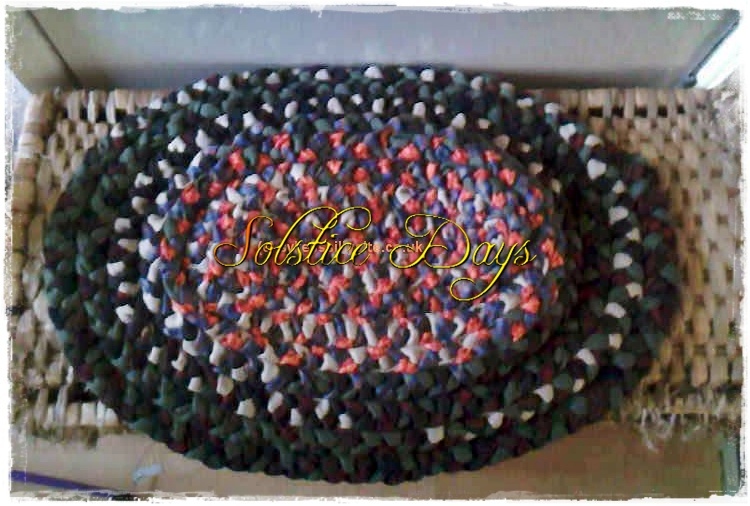 I used five altogether, to make this soft rug specially for our two cats. The pastel colours work really well together. This is the largest rug I've made so far, it took six months to make, I recycled an old wool blanket and some linen and cotton fabric left over from shortening some curtains. The fabric strips for the rugs are cut out by hand then can machine stitched for a neater finish (see rugs 2 and 3) or just plaited (rug no 5) . The fabric strips are then plaited by hand, once the plaited strips are the correct length, the strips are then hand stitched together to create a one of a kind rug.